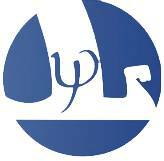 ESPCT, under the auspices of their parent organisation the International School Psychology Association: European Committee, have provided training sessions to personnel from the the following educational institutions, or school psychology centres. The people named below will be happy for you to contact them, and they will answer any questions that you may have concerning their experience of working in partnership with ESPCT, and the usefulness of their training sessions. We are part of De Onderwijsspecialisten.